Kris Miller joined Billings OB-GYN Associates in 2011 as Nurse Practitioner. She graduated from MSU School of Nursing in 1978 with a Bachelor of Science and then earned her certification as a Women’s Health Nurse Practitioner in 1992. 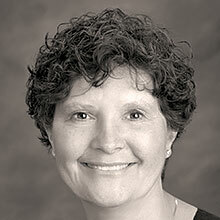 Kris joined Billings OG-GYN Associates in 2011. Kris has one son, Matt and daughter-in-law Lindsey and two energetic grandchildren. Kris enjoys spending time with family and friends, the great outdoors, reading, making stained glass and watching old movies.